Approximately 40 percent of Phase III clinical trials end in failure. By some estimates, that rate could be cut in half by the use of genomic data to select better drug targets in the first place. The problem, however, is that pharmaceutical companies lack access to large genomic databases that could give their candidate drugs better odds of making it to market. As the price of whole-genome sequencing falls below $1,000 and races toward the goal of $100, building these databases finally seems within reach. That is if scientists can address privacy concerns and get individuals—especially those with diseases scientists are looking to cure—to contribute to these databases. 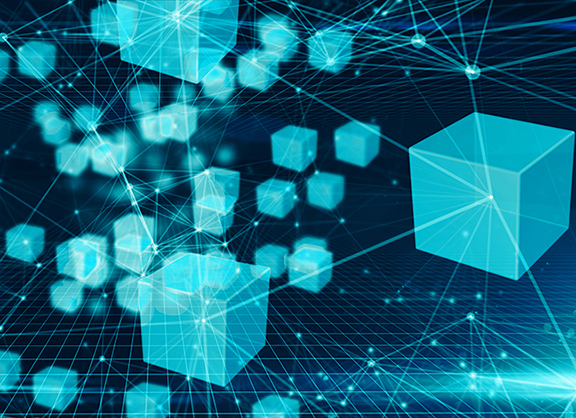 Enter blockchain, the technology behind Bitcoin, and a handful of new companies—including EncrypGen, Luna DNA, Nebula Genomics and Zenome—hoping to be the first to establish the industry standard for blockchain genomics. All four companies plan on taking advantage of the nearly hack-proof nature of blockchain-based software (see sidebar) to ensure privacy and security of their genomic databases. Each company is also looking to compensate contributors using their own unique cryptocurrency, such as Luna Coin and EncrypGen’s DNA Token, also enabled by blockchain technology. According to its founders, Luna DNA is the only new blockchain genomics company that has been established as a Public Benefit Corporation (PBC), making its mission more than just about brokering the sale of individual genetic data. “We’re building the first medical and genomic research database that is powered by the blockchain and owned by the community,” explained Dawn Barry, Luna’s president and co-founder. While Barry and the rest of the team are based in San Diego, Luna DNA is registered as a PBC in Delaware. “As a Public Benefit Corporation, contributing to the greater good is part of our core charter,” said Barry, who is also a former executive at sequencing heavyweight Illumina. “If there are any discoveries made or monetization of any kind based on research using the database, 100 percent of those proceeds will flow back to the individual partners.” Luna DNA, as a partner, will be compensated through platform maintenance fees. “We will still be working to maximize shareholder value,” Barry said. The PBC designation in Delaware is usually reserved for charities, hospitals, and colleges. According to state law, the legal responsibilities are the same as corporation, but with expanded responsibilities when it comes to purpose, accountability, and transparency. The company must operate in a sustainable manner, balance purpose with shareholder interests, and regularly report to shareholders the impact the company is having with respect to its purpose. This dedication to the greater good and community building will attract contributors to Luna, Barry predicted. “For the most part, other companies are focused on helping individuals make money off of their data. We think people’s primary motivation is to contribute to advance medical science and contribute to health care discoveries. People know their health information could be put to work to help the greater good. They want to be partners,” Barry said. Still, the information people provide has inherent value. “They should be rewarded for their contribution.” That reward will be paid by customers wanting to use Luna’s database via cryptocurrency. “Customers interested in conducting research in the Luna database will purchase Luna Coin through a public exchange to pay for the service, thereby creating an economy between data contributors and purchasers,” Barry explains. Like all companies operating in the emerging area of blockchain genomics, Luna will have to attract both data contributors and data users. Contributors will be attracted by the trust they can place in blockchain-based technology, by compensation scenarios, and by the chance to have an impact on medical science. Barry said she expects early adopters will be those who have already used popular services like 23andMe. “Many individuals have already spit in a tube and their data is already sitting somewhere.” These individuals will be comforted by the fact that their data will be de-identified and enjoy the control they will have over who uses their data and for what purpose via smart contracts enabled by blockchain (see sidebar).